This village of Thwaite, above Muker, is also one of the most beautiful ones in the Swaledale. Approaching the village, I could see stone houses, overlapping one after another, over the bridge crossing a beck. The name of the village means "clearings in the woods" in the Norse. Driving along the dales, I could see the beautiful villages having gray stone houses on the way. I wanted to stop to enjoy the views of them. If only I had had more time! As a passerby tourist, it was not easy to make enough time to give myself free rein to the Dales. It would be better to live in the dales to enjoy the beautiful scenery of them to the full. I could not but be in envy of the dalesmen. The upper Swaledale is known as the country of the naturalist brothers Richard Kearton(1862-1928) and Cherry Kearton(1871-1940). They were born in Thwaite. Cherry, an active man, is said to be the first big-game photographer in the world and also an adventurer. Richard, being gentle and sensitive, was a writer and lecturer on ornithology. He had disability in one of his legs, which was caused by the dislocation of his hip when he fell from a tree while looking for bird's nests. Later, this damage prevented him from continuing active fieldwork. So, he turned to be a writer and lecturer of nature and wildlife, particularly birds. Cherry took photographs for Richard's books. I have seen the very interesting photograph taken in the 1890s. 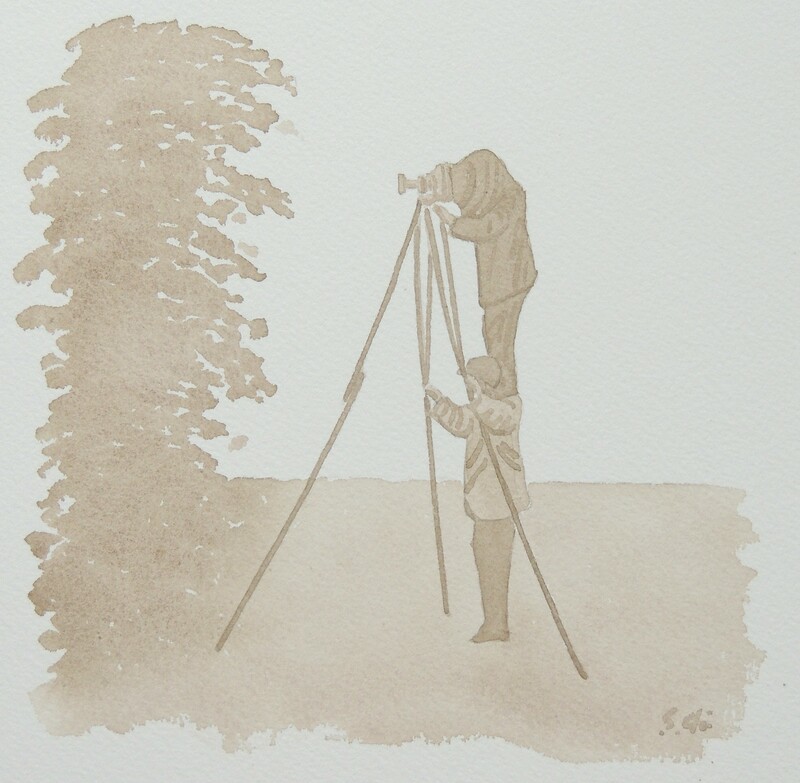 It shows that Cherry is taking photographs of a bird's nest, standing on Richard's shoulders. 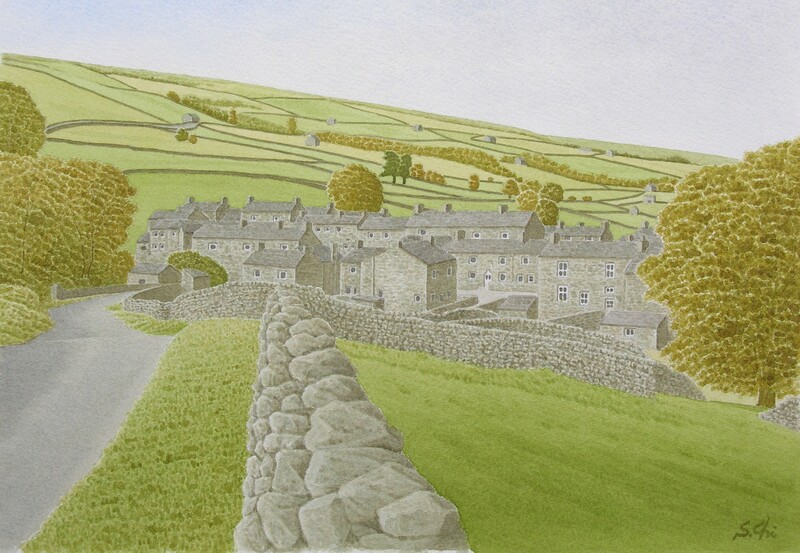 Living in Thwaite, they went to school in the neighbouring village of Muker. I suppose they enjoyed the way to and from the school everyday, seeing beautiful landscapes of the dales and watching birds and flowers. I heard that today's bird-watching and nature reserves of Yorkshire owe very much to the two brothers. I must appreciate their activities, too, as a bird-watcher and a fan of the Yorkshire Dales. Speaking of bird's nests, I remenber seeing many large nests of rooks in woods close to the fields in winter. As I had not seen them before, they were very interesting for me. Those nests are often illustrated in picture books for children.